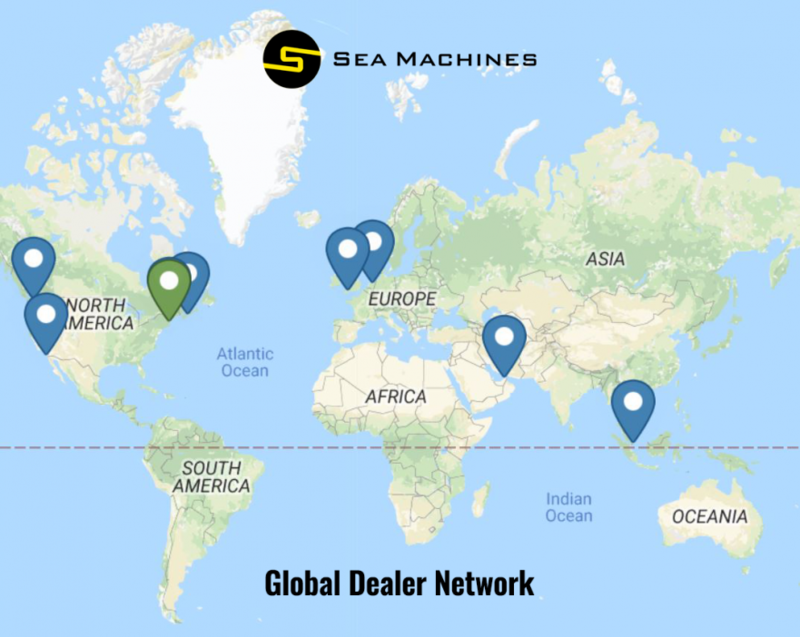 (BOSTON; January 9, 2019) – Sea Machines Robotics, a Boston-based developer of autonomous vessel control technology, announced today the establishment of a new dealer program to support the company’s global sales across key commercial marine markets. The program includes many strategic partners who are enabled to sell, install and service the company’s line of intelligent command and control systems for workboats. The SM Series products, SM300 and SM200, provide marine operators a new era of task-driven, computer-guided vessel control, bringing advanced autonomy within reach for small- and large-scale operations. Sea Machines SM product series is available now and can be installed aboard existing or new-build commercial vessels with return on investment typically seen within a year. The company is also currently developing advanced perception and navigation assistance technology for a range of vessel types, including container ships. In early 2019, the company will initiate testing of its perception and situational awareness technology aboard one of A.P. Moller-Maersk’s new ice-class container ships. In December 2018, Sea Machines announced that it had raised another $10 million in venture funding, marking one of the largest venture rounds for a marine- and maritime-focused technology company. Headquartered in the global tech hub of Boston and operating globally, Sea Machines is a leader in pioneering autonomous control and advanced perception systems for the maritime industry. Founded in 2015, the company builds autonomous vessel software and systems, which increases the safety, efficiency and performance of ships, workboats and commercial vessels. Learn more about Sea Machines at www.sea-machines.com.